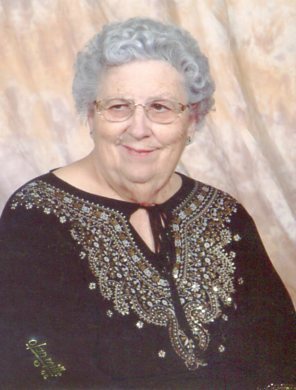 Funeral services for Delores L. Hanke, 83, Madison, will be 10:30 a.m., Saturday, March 30, 2019 at the Immanuel Lutheran Church in Madison. Burial will be in Fairview Cemetery. Visitation will be an hour prior at the church. Home for Funerals is in charge of arrangements. She passed away Friday, March 22, 2019, at Countryside Home in Madison. Delores was born March 13, 1936 in Norfolk to Leonard and Velma (Barnes) Timm. She grew up on a farm southwest of Norfolk. She attended District 16 for six years then went to Christ Lutheran for two years. Delores graduated from Norfolk High School in 1953 and attended Norfolk Junior College for one year. On December 26, 1954, Delores married Alton Hanke of Madison. They lived outside of Madison on the Hanke farm for 44 years before moving into Madison in 1997. To this union four children were born, one son and three daughters. Delores enjoyed working on the farm whether it be helping outside or taking care of the house. In 1975, she took her first job outside of the home working at Hested’s in downtown Norfolk as a cook. She also babysat and worked at the Madison Star Mail for 10 years. Delores owned a craft store in Madison with her daughter, Linda, called Busy Bees for 10 years. Delores was an avid crafter for many years. She enjoyed going to craft shows to sell and show her crafts. Her hobbies included crocheting, reading, watching television, traveling and spending time with family, especially her grandchildren. In October of 2014, Delores fell and broke her hip. She was in the nursing home for rehabilitation and later in 2016 became a permanent resident at Countryside Home in Madison. Delores is survived by daughters Linda (Keith) Rabe of Norfolk and Sandra (Mark) Hayden, of Madison, granddaughter Amanda (Scott) Engler of Platte Center, grandson Eugene Luetkenhaus of Madison, and great- grandson Dante Engler. She was preceded in death by her husband Alton in 1998, a son in 1955, daughter Diane in 1976, brother, parents, grandparents, grandson, granddaughter, uncles, aunts, and cousins. Memorials may be designated to Countryside Home in Madison.